Best HR Consultant in Kolkata West Bengal - Digi Man Solutions Pvt. Ltd. If you are looking for the right candidate for a job vacancy at your company, then avail our services now. At Digi Man Solutions Pvt. 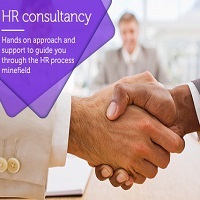 Ltd., we are engaged in offering excellent HR consultancy services to the organizations across Kolkata (West Bengal, India). We are also operating as efficient recruitment consultants in the industry. We assist the companies in enhancing the human resource engagement and efficiency to achieve the organizational goals. Besides this, we help the companies in preparing the payroll and the salary structure of the employees.